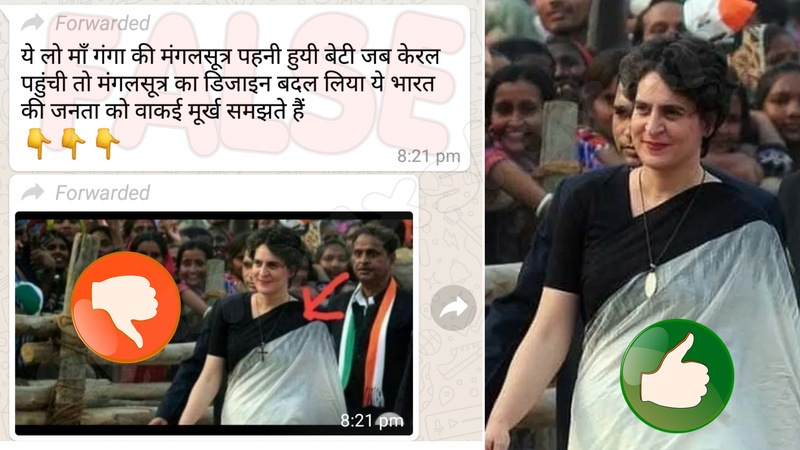 A Photo of Priyanka Gandhi is viral claiming she use to wear a Mangalsutra but in Kerala, she changed it to crucifix locket. ← Pakistanis falsely claim Police lathi-charge Muslims in a Mosque. July 4, 2018 Hoax Slayer Comments Off on Did the cars in creepy video crash into ghosts ?? Check out the details.